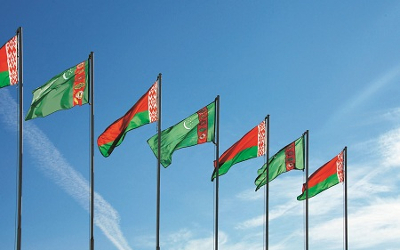 AKIPRESS.COM - Belarus and Turkmenistan have plans to increase the bilateral trade to $500 million, Belarusian Deputy Prime Minister Anatoly Kalinin told reporters after the session of the Belarusian-Turkmen commission on economic cooperation on 10 May, BelTA reported. Anatoly Kalinin noted that the countries have set a goal to step up the bilateral trade to $500 million. “The task is quite challenging, but we will be working to advance our trade and economic cooperation to such a high level,” Kalinin said. He pointed out that in 2016, the trade in goods between Belarus and Turkmenistan exceeded $120 million. Together with the trade in services, it was almost $300 million. “Today we were talking about new opportunities for growth. Special attention was paid to the supplies of Stadler diesel trains to Turkmenistan, the possibility of increasing the supplies of medical equipment, pharmaceuticals, and products of Minsk Automobile Plant and Minsk Tractor Works,” Kalinin said. He added that plans have been made to sell 550 machinery units produced by these enterprises to Turkmenistan in 2017. The deputy prime minister also said that the Turkmen delegation expressed interest in the projects of the Hi-Tech Park. “They will pay a visit to the park tomorrow. I think we will launch new interesting joint projects in the field of information technology,” he stressed. Anatoly Kalinin said that the Belarusian-Turkmen commission considered trade operations that the countries could perform. “We have not yet settled the issues regarding currency conversion, so we are exploring the substitution options,” the official explained. Belarus may receive cotton in this way, Anatoly Kalinin emphasized. He pointed out that on 10 May, Belarus and Turkmenistan signed an action plan and agreed to hold the next session of the intergovernmental commission in Ashgabat. Besides, the parties decided that Belarus will present ts tourist routes in Turkmenistan in late summer.